The need for fingerprinting continues to grow and we can help with that. 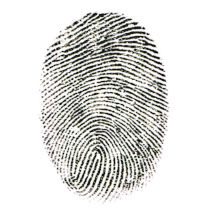 We offer fingerprinting any time of the day. No appointment is needed to be scheduled, just stop in. Fingerprint cards are $10.00 per card. It's usually a minimal of 2 cards that are required for places requesting them. Some places will provide you with the cards, please bring them with you. A charge of $10.00 per card still applies.